When locating utilities, accuracy is everything. More accuracy means less risk. 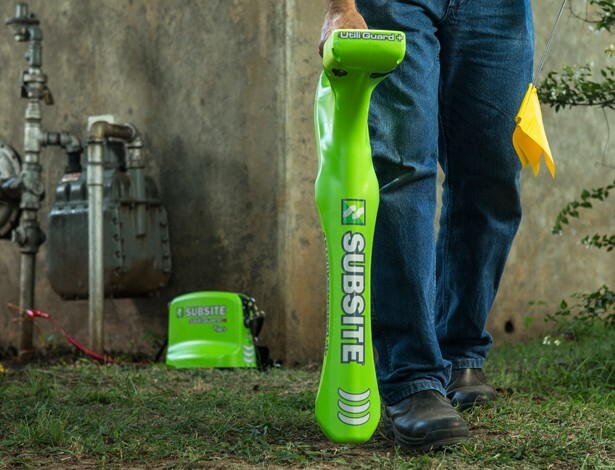 So we packed the Subsite Electronics UtiliGuard® multi-frequency locator with accuracy-enhancing features, highlighted by Ambient Interference Measurement (AIM®) technology, which automatically recommends the best frequency. UtiliGuard also has a 12-watt transmitter that sends signals farther, an easier-to-read display and many other features you won’t find on any other locating system. Only UtiliGuard. Ambient Interference Measurement (AIM®) technology scans the surrounding area for noise and recommends the best frequencies for the fastest, most accurate locates.